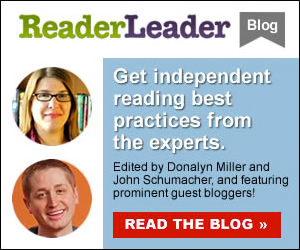 Home » Idea Share » Scholastic Book Fairs Editor » Would You Read to Your Students… from the Roof? Would You Read to Your Students… from the Roof? Wow! It's already time for my spring book fair, and the possibility that I will have to make it up on the roof! But before I get to that, I wanted to share something totally new that I did for my fall book fair. Everyone knows grandparents love to spoil their grandkids! I know I spoil mine! So I sold gift certificates during each of our school's Grandparent's Day lunches. Our school holds a separate lunch for each grade level and is home to grades K-4. I sold gift certificates to grandparents as they waited in the library for their grandchildren to come to the cafeteria and I sold $1,800 in gift certificates before the book fair even opened. The book fair was actually open for the kindergarten Grandparents Day!! Talk about bonanza!! Wow!! We were wall-to wall-grandparents. This was just our first year to do this. I feel like doing this added a big boost to our sales! We also did an All for Books coin challenge and brought in over $1,700 in donations. This was my first time to do this as well. To help promote my fall fair, I had a parent volunteer design and create an amazing bulletin board outside of our library to promote our school's pirate themed book fair. We are very lucky to have several parents who are outstanding artists. They also helped with decorations for our spring Fair, which was another huge success. I set a goal of $10,000 for our spring Fair, and I told the students that if we reach our sales goal for this book fair, I am going to read from the roof and stream it live on our school's Facebook page. I got the idea from the book Librarian on the Roof! A True Story. The book is a biography of RoseAleta Laurell and her real life adventure on the roof of the oldest library in Texas. She went up on the roof for several days to raise money for her library. To help create excitement, I did the All for Books coin challenge again. We actually brought in about $1,880 for this campaign. Our big promotion for this was "Sequoyah Kids Give Back!" It was all about doing something for another school. We gave away approximately $2,500 worth of books to students, staff (all staff was included, custodial, aides, teachers, office, cafeteria, etc. ), and parents. We used our All for Book money plus Scholastic dollars. The teacher who collected the most in the coin challenge won a $50 gift certificate to the book fair. The teacher who won the grand prize for book sales won a $100 gift certificate to Scholastic and “won” me as their teacher for the morning. I taught first grade. Her class voted on what they wanted from the Scholastic catalog, and I will be ordering it for her. I also had 3rd and 4th grade students work a math problem about the All for Books coin challenge. They had to figure out how much our school would make if each student brought one of each coin and one dollar. Then, they had to figure out how much it would be if Scholastic matched it. And, what would the total donation be? Nine kids got it right. It was tough. They all won a $10 gift certificate. In addition, any parent who volunteered to help during the book fair was given a $10 gift certificate for each of their children to spend at the book fair. Our book fair was all about giving back and the books! We did math with the books, made tough decisions based on the content of the books, etc. My kids knew the books! At the end of the fair, our grand total was $12,437 in sales. The reason this is so exciting is because we have more than tripled our book fair sales since I came into the library for the 2015-2016 school year. Before this time, the library had never had over a $4,000 book fair in the last 8 years!! It also meant that I was headed to the roof! Reading on the roof was a huge success. I read Librarian on the Roof! A True Story and we live streamed it on Facebook for the kids to watch on their classroom smart boards. I took a group of teachers up with me. We all had chairs and a blanket so that we could relax and enjoy a story!! We had a great time!